This free printable TO DO list is a really handy way to note down all those things you need to do, all in one place. Why not create a master list using this gorgeous template as an easy way to get organised. It has a clean and crisp black and white design for you to personalise however you like, and I hope you love it! I LOVE lists. 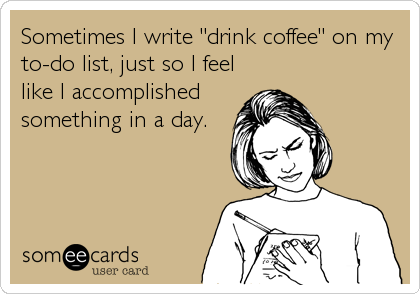 Especially TO DO lists. I am FOREVER creating a list for this and that, and one of my favourite things to do is ticking off things as I go through the day. ( TRUTH – I sometimes write things on the list that I’ve already done, just so I can cross them off and feel happier – PLEASE tell me I’m not alone!). … and it’s Oh! so nice to have a pretty list to work from, don’t you agree!? It automatically makes me feel like I want to get things done when it’s all written out nicely and ready to go. As such, I thought it was about time to share a gorgeous and effective and FREE PRINTABLE TO DO list with you today, that you can simply print off and use as you like. I hope you find it really handy! I specifically like the layout of this printable because it allows you to focus on what’s important in the PRIORITIES section, while still adding in those NICE TO DO’s as well. That’s perfect if you’re anything like me and tend to over-plan each day (I just get excited and over estimate what I can get done!). A TO DO list is basically a brain dump so you don’t forget anything (or forget less ;o) ) – and I wouldn’t be without one each and every day. I love getting a list sorted for the next day last thing at night…. It then means I can plan everything out a little, try and make sure I will have enough time to fit it in, use with my diary to ensure I have everything I need for planned stuff, and basically get sorted ready for a productive day. I don’t know how it happens but every time I plan the day before, I always wake up feeling ready to get going – and knowing what I have planned (almost as if my brain has been thinking it all through while I’ve been sleeping – clever thing!). TIP – If you tend to re-use your list a lot, or like a clutter free list, then I LOVE using erasable coloured pens** for it as you can adjust the list as needed! Here’s a quick view of this FREE, YES – FREE PRINTABLE TO DO list that you can download, and the link is underneath the picture – so click away and get your free printable TO DO list, and get started right now! It’s available in the OMH Printables Library . If you’re not already a member then this is the place where all the amazing free printables from the site are kept. To get access just click HERE. Do you create a TO DO list every day / week / month? Does it help you to get more done? I really hope this free printable TO DO list helps you create yours and be as productive as you can. As always – I’d love to see how you are using it, so please leave a picture and tag #organisemyhouse in Instagram, or why not join my Facebook Group and show everyone there? ….and for now – here’s some more reading all about TO DO lists if you want to make even more use of them – hope it helps! Fantastic! – So pleased you like it Mia!